Although this trick was easy and possible since the first version of POV, strangely seems that no one ever figured it (at least I’ve never seen it before). 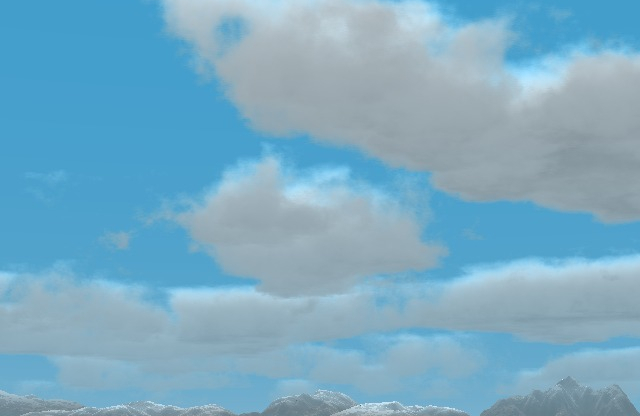 The technique is rather simple: instead of the classical 1 plane/sphere with the whole clouds appearance textured on it, use several planes/spheres to make the clouds grow and disappear by applying displaced copies of a cloudy texture, making it more transparent for each successive plane. 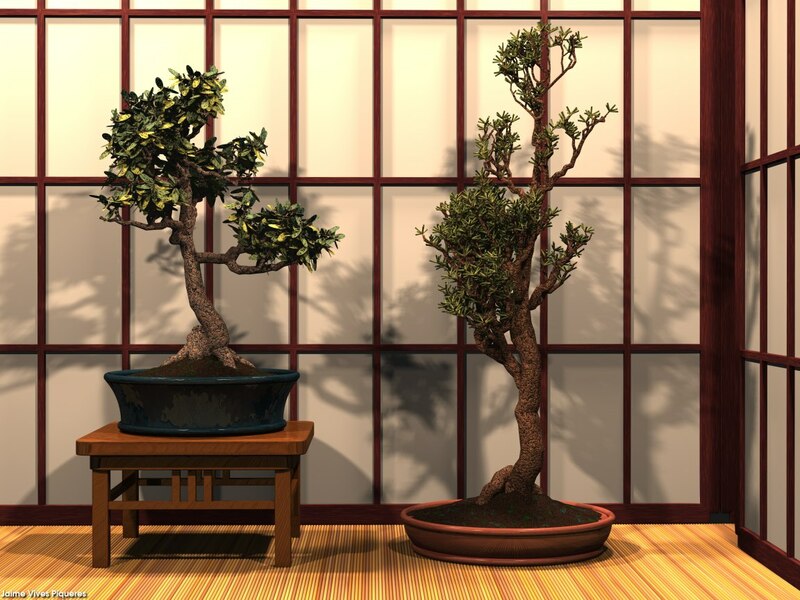 This can be done in several approaches, and the raytracing community has developed this technique for more efficient and fast rendering. 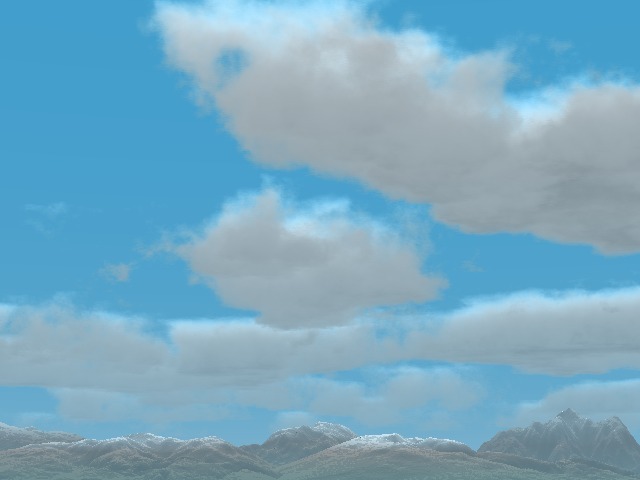 Anyhow, the technique is very limited in uses, not being indicated for sunset/sunrise scenes, and only for points of view not very parallel to the clouds.